How do I leave a Group Conversation on Facebook Messenger? If you're a member of a group on Facebook Messenger, but don't like the activities in that group, you can choose to leave the group conversation. How to leave a group conversation in Messenger is as simple as the word. Facebook Messenger has a feature that allows you to remove yourself from a group conversation. 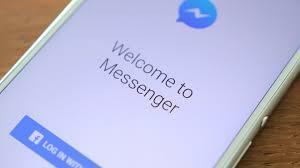 However, when you leave a group in Messenger, every other people in the conversation will be notified that you left and you will no longer receive messages from the conversation. According to the Facebook Messenger Support Center, you can only remove yourself from group conversations. But you can't leave a one-on-one conversation on Messenger. This tutorial will show you how to leave a group conversation on Facebook Messenger. 1. Open the group conversation. 2. Tap the names of the people in the conversation at the top. 3. Scroll down and tap Leave Group. 2. Tap the circular icon with an i-symbol embedded in it. 4. Finally, tap Leave group.